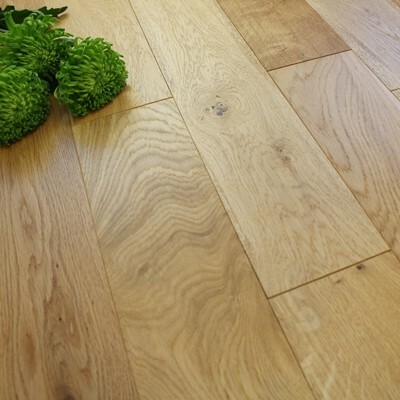 18mm engineered hardwood is an extremely popular type of flooring. It is made from a solid wood top layer (usually from Oak or Walnut) and then multiple base layers of other types of wood that have been bonded together in opposing ways to give the flooring its strength and stability. The top layer of solid wood is usually either 4mm or 5mm in thickness, which means that like solid wood flooring, it can be sanded and re-finished a number of times if necessary. The only part of the flooring that you will see once it has been installed is the top layer of solid wood so it is important that you choose the correct type of hardwood and particular surface finish that will suit or complement your space. 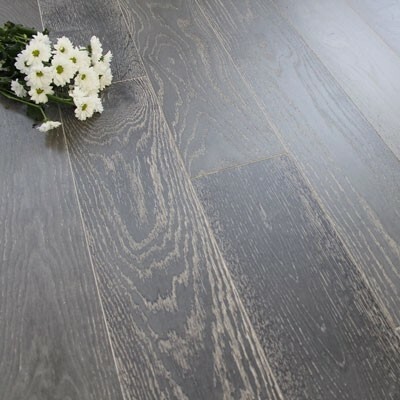 As suggested by its name, that total thickness of the flooring plank will be 18mm. As an example, if you have a top layer of solid wood which is 4mm thick then the remaining 14mm is made up from the multiple base layers of different types wood. 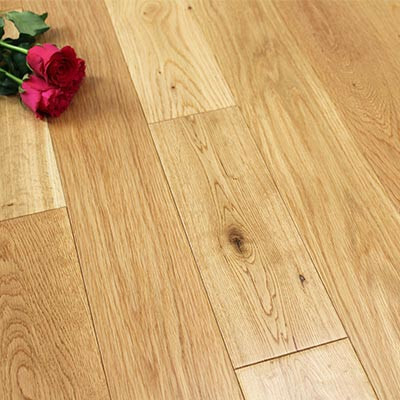 Why should I choose 18mm thick engineered flooring? 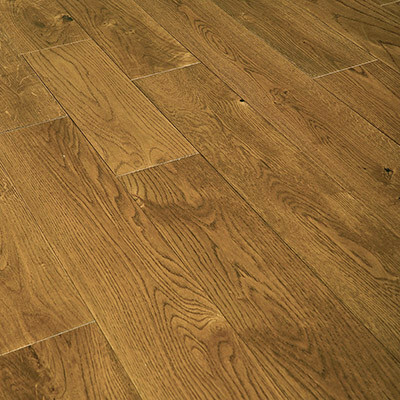 18mm engineered hardwood flooring is a great choice for any property. 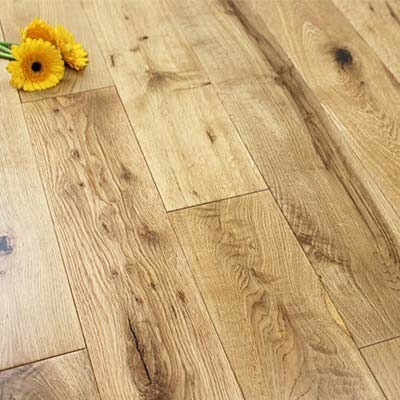 It has all the benefits of engineered wood with the surface appeal of solid wood flooring. The only part of the flooring that you will see once it is installed is the top layer of real wood, and it would be extremely difficult to tell the difference between this flooring and solid wood flooring once it is in your room. 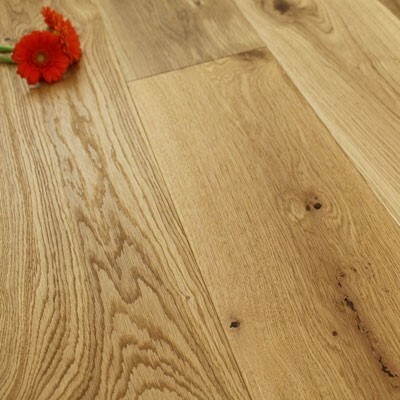 Have a look at our article, Advantages of Engineered Wood Flooring to find out more about the benefits and versatility of this amazing type of flooring. 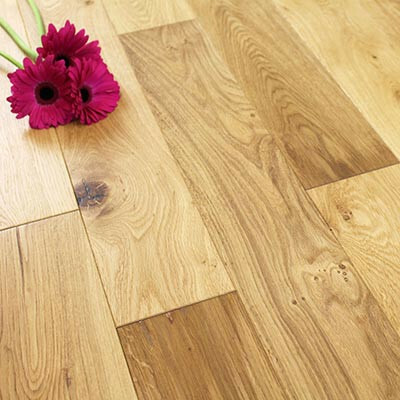 18mm engineered hardwood flooring is ideal if you are looking to install over joists. The thickness of this flooring has the correct load bearing properties to be able to withstand the extra pressure that comes with being laid on top of joists. 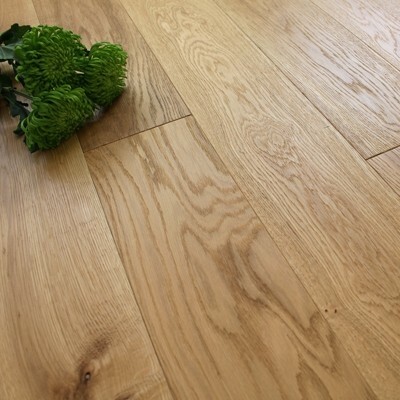 This particular thickness of engineered hardwood is only available with a tongue and groove fitting profile but it can still be floated over an underlay by simply applying WPVA glue to the tongue and groove joints to give a tight and secure fit, alternatively, it can be fixed into position with adhesive or nails. To find out more about installing your flooring, have a look at our Installation and Fitting Guide. 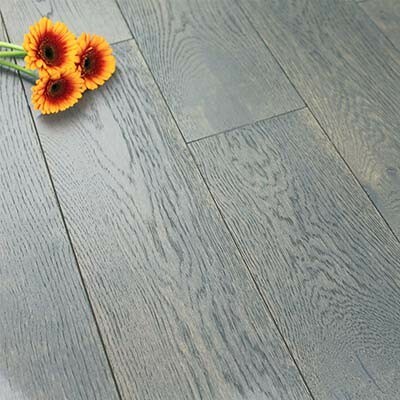 How do I maintain 18mm engineered hardwood flooring? 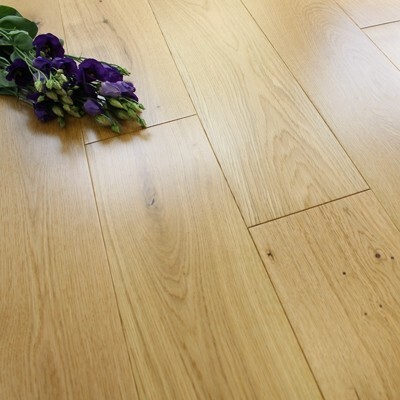 Maintaining the beauty and shine of your new 18mm thick engineered wood flooring is extremely easy. Make sure you sweep on a regular basis (daily basis in busy areas) to remove any dust, dirt and grit, using a soft bristle brush. Then clean your floor on a weekly basis (or as necessary) with a wooden floor cleaning spray and mop to remove more stubborn stains. 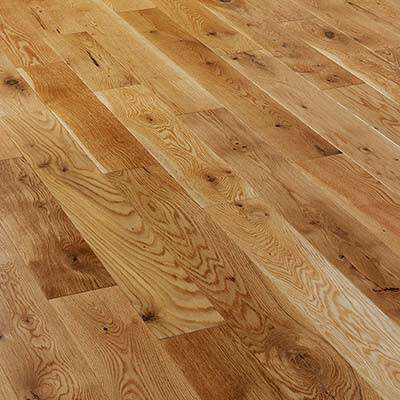 For further tips and advice on keeping your floor looking shiny and new and how to avoid unwanted dents and scratches then have a look at our Wood Floor Care and Maintenance Guide. 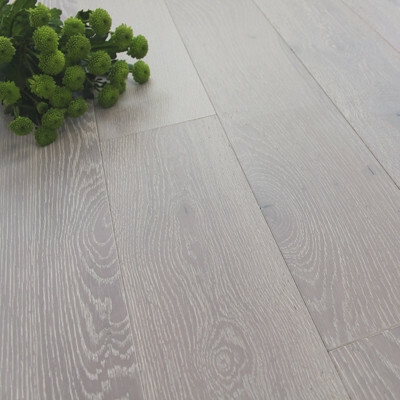 Yes, we have a range of engineered hardwood floors in a variety of different thicknesses. If you have any questions or would like any further help and advice then please contact us or come into our showroom where we will be happy to help. If you would like to have a look at the flooring in closer detail then our showroom has all of our floors on display, or you can order your free samples of flooring today.